The roaring of motors, the smell of diesel fumes, and the roar of 120mm cannons filled the several dozen hectares. 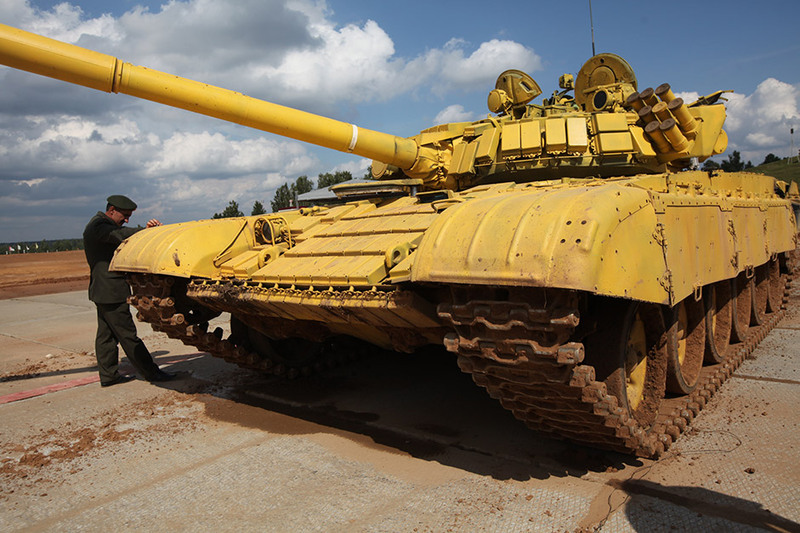 Tank crewmembers pitted themselves against one another in the legendary "72" tank. 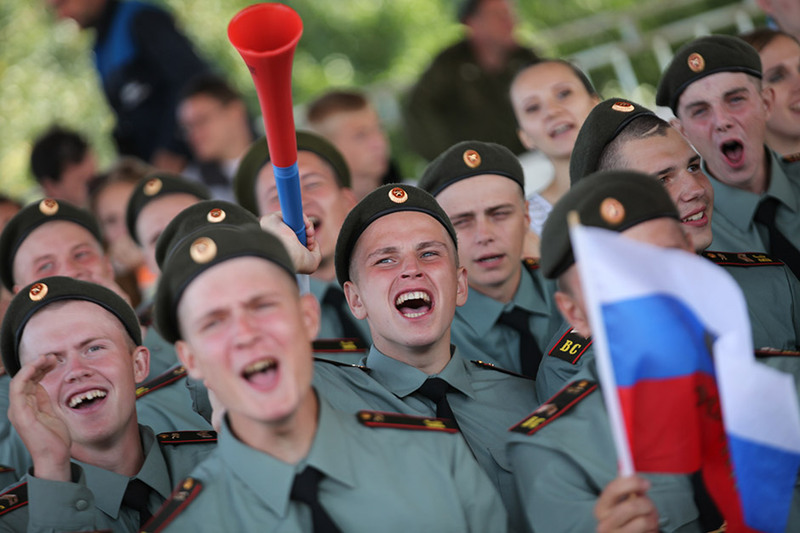 An unusual show unfolded at the army training ground in the Moscow region town of Alabino. 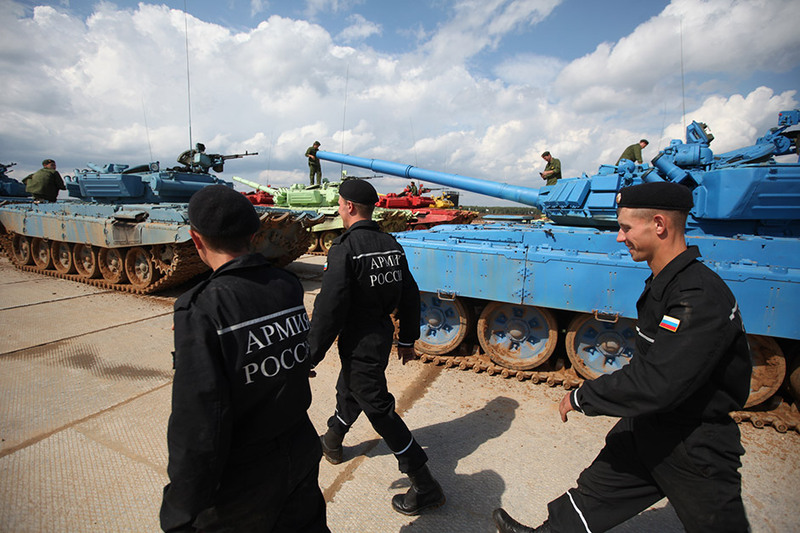 Crews from four countries—Russia, Armenia, Belarus, and Kazakhstan—competed in a tank biathlon. 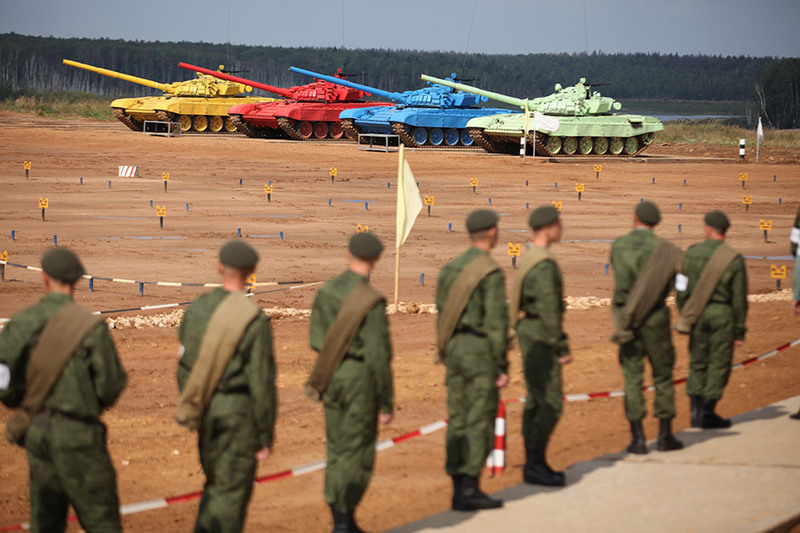 The all-army competitions in the "tank biathlon" were organized under the initiative of Defense Minister Sergey Shoigu. 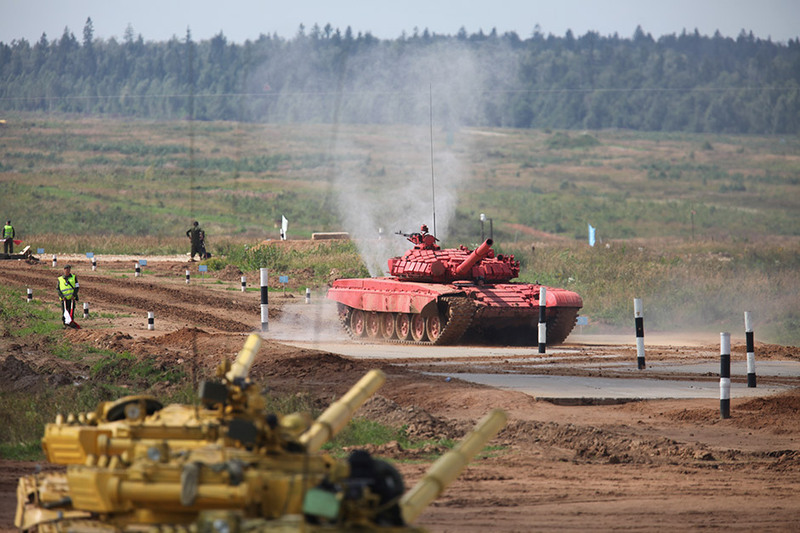 According to the initiative's design, the best tank platoons and army crews from Russia and its partner countries should compete for four days in a show of military mastery. 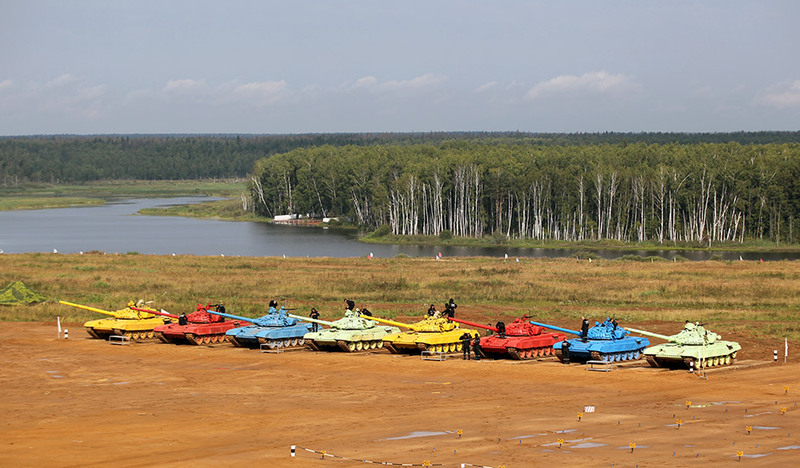 The competitions were dedicated to the largest tank battle in military history that took place near Prokhorovka, the legendary and victorious battle for the Soviet army at the Kursk Bend. 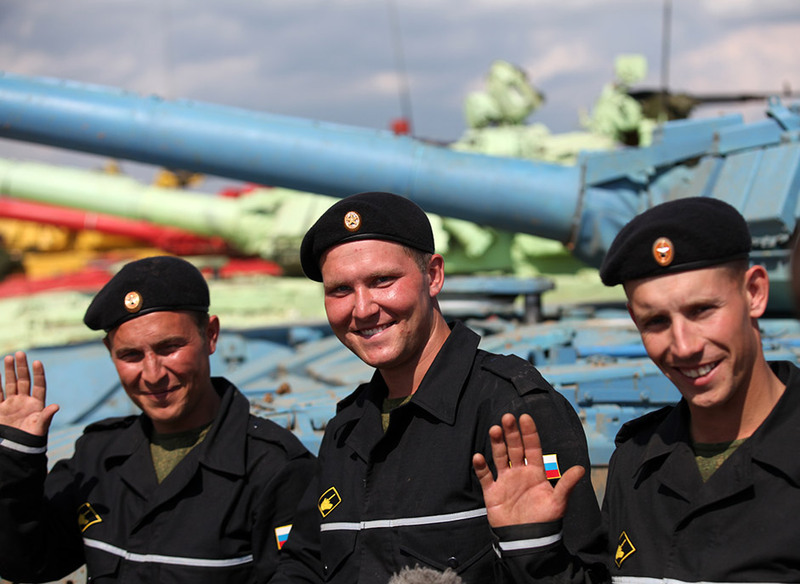 The event is designed not only to honor the memory of heroes and offer a colorful performance. 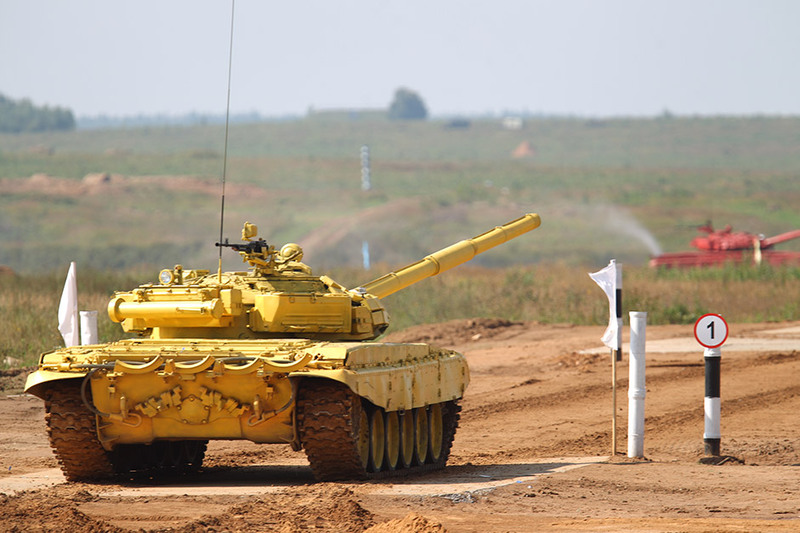 It also has very practical purposes, such as testing tank divisions' level of readiness for modern battle, identifying problems in preparation, and searching for the best possible solutions. 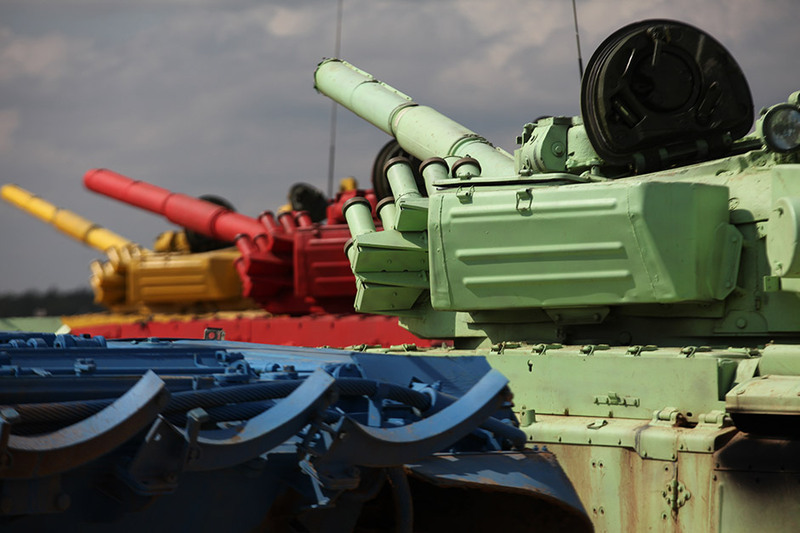 Military leaders who command enormous masses of troops aren't the only ones who should know how to make decisions; regular troops' junior officers, tank commanders, gunners, and tank drivers should, too. It's precisely these people who turn top commanders' strategic plans into reality, often sacrificing their own lives to do so. 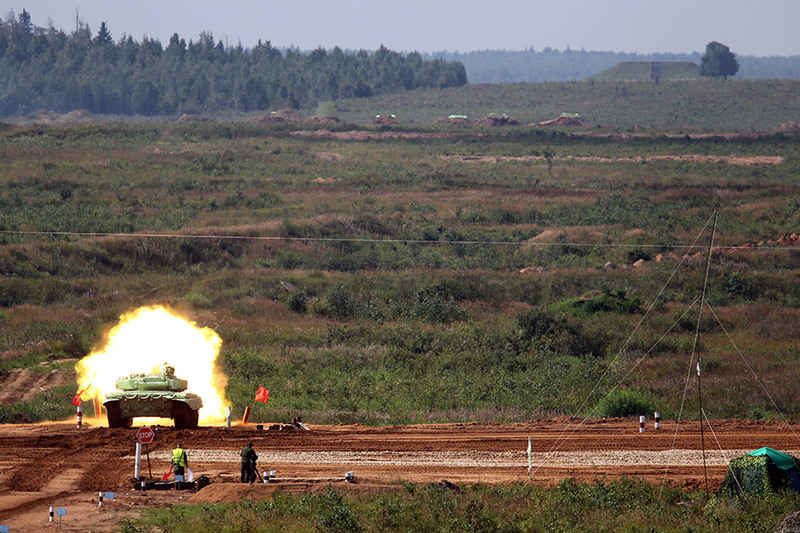 The outcome of a battle can depend on the timing of a well-aimed shot or the successful maneuver of one tank. The outcome of one battle could determine the whole war. The competitions are held in a fashion similar to a ski relay race and call for three laps along a 18,300 meter-long route. 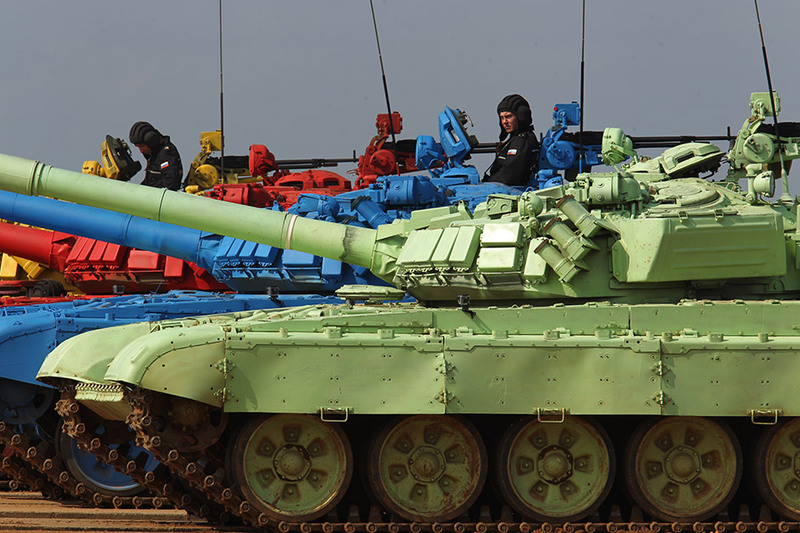 Crews work in four T-72B tanks that are painted red, green, yellow, and blue to make them more visible and to better determine if they accomplished their goals.